Leagoo just released its first smartphone called Leagoo T1 Plus which is running on Android 6.0 marshmallow straight out of the box. There is no doubt that its a nice phone with cool specs and features. Leagoo T1 Plus is a 5.5inches screen display smartphone with 3GB RAM and 16GB internal memory which is also 4G LTE enabled. 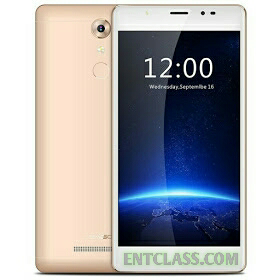 This smartphone is an MTK device which can be tweaked --MTK6737-- powered by Quad Core clocking 1.3GHz. It also packs a Finger print scanner which is designed in full Aluminium Metal slim unibody. Leagoo T1 Plus is currently on Pre-order on Gearbest. Kindly see full specifications and features of this smartphone. Compared to vkworld t1 plus ,vkworld t1 plus price is low less than $10.Vkworld t1 plus with 6-inch big screen. Vkworld T1 Plus is quite cheaper.